Washers included, sold in a set of 12. 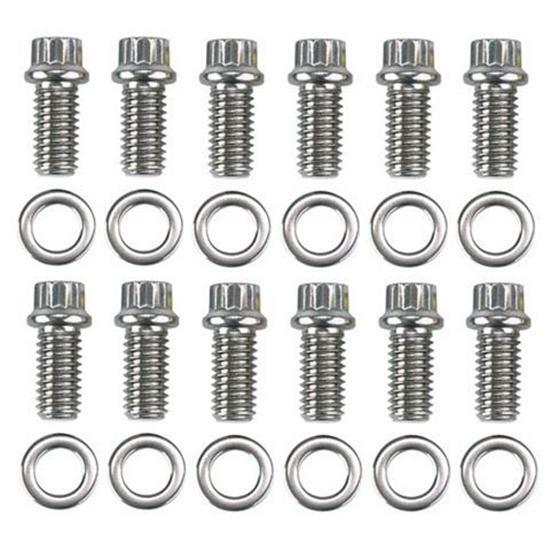 ARP Fasteners 12 point header bolts with 3/8"-16 x .750" UHC threads. Includes washers. Uses 3/8" 12 pt. socket. 170,000 PSI. Perfect for use with headers on AMC 290-401, small block Chevy 262-400, big block Chrysler 383-400 (exc. 426 Hemi), Pontiac 326-455, and Oldsmobile 330-455.